Lord, it’s been hectic. After a holiday in Bruges (3 days, 28 different beers and Lagavulin 16 at four euros for a double during happy hour at the hotel – nice), swiftly followed by our Glenlivet trip (and then trying to catch up on the resultant double backlog of work in the middle of the Father’s Day rush), my feet have hardly touched the ground this month. I’ve been lucky enough to be present at five really excellent whisky tastings during the last four weeks. I’ve ticked off quite a few drams I hadn’t previously tried and a couple of forthcoming treats as well. 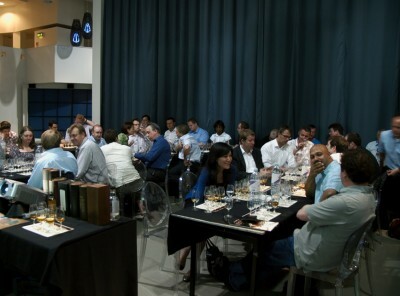 So, to catch up, I’m going to do a whisky blog post every (working) day until next Wednesday – one for each of the five great tastings I went to in the last month. 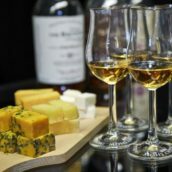 First up was an Aberlour tasting at TWE Vinopolis – follow the link and sign up for their newsletter if you fancy coming along to any of their splendid events. The tasting was led by gregarious Pernod Ricard brand ambassador Phil Huckle, who was as charming and entertaining as ever, and supplied me with a great quote for my treasured stash: Churchill’s ‘Never trust a man with no redeeming vices’. 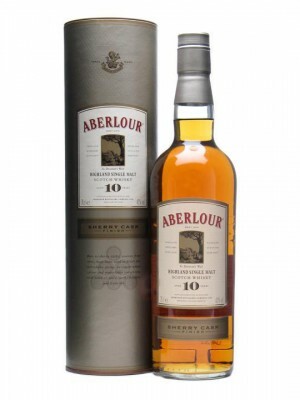 This has been available in France – where Aberlour is the best-selling single malt – for a while, but has just made its debut at TWE – click the title to see the product on the TWE site. 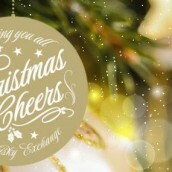 Nose: Quite nutty, chocolate brownies, some exotic fruit; develops excellent Christmas cake aromas. Palate: Medium-weight. Raisins, chocolate, caramel. Melted vanilla ice cream. Finish: Gentle and smooth with a traces of menthol, syrup and a dash of pepper. Comment: A really well-made whisky. 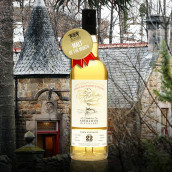 The perfectly-judged extra touch of sherry is seamlessly integrated and, along with the slightly higher bottling strength, this adds a new dimension to the standard 10yo while avoiding the usual pitfalls of ‘finished’ whisky, ie leaving the malt for too long in the second cask and letting the wine take over. Nose: Pleasantly woody. Creamy cake icing, then gets very nutty: praline, walnut whip. The creaminess is pervasive, with notes of melting butter and warm milk, becoming Ovaltine-esque as the malt asserts itself. Palate: Fullish. Unexpected brief lemony notes, then the oak rides in to set the stage for some delicious sweet honey, dazzled by flashes of woody pepper and spice. Finish: Drying, still nicely spicy. Warming, with some pleasant toasty notes. Comment: Snatched from the brink before the oak becomes too dominant, this is a tremendous dram that really shows off a different side of Aberlour. 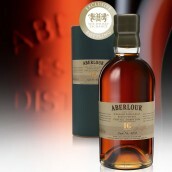 Although this is a distillery well-known to connoisseurs as a wallet-friendly alternative to the sherried Macallans of old (the mega-sherried a’bunadh is comfortably the most popular Aberlour), in our opinion (based on, er, two samples) bourbon-matured Aberlour can be equally fascinating. I’d love to see this style of whisky from one of our most popular distilleries made available to a wider audience. The campaign starts here, feel free to lend your support in the comments.